Earlier this month I travelled to the Amana Colonies in Iowa and the Wisconsin Dells in Wisconsin. When I started on my vacation my plans were pure relaxation. No thoughts of writing whatsoever. Still somehow when I stopped in Amana and toured the area I couldn’t help but think how perfect a small town setting it would make. So I walked down the streets, visited the shops, took way too many pictures, and tucked the idea away in my mind. A few days later I took a boat ride on the Wisconsin River. There was a gorgeous island that had over 200 acres and provided home to every tree native to Wisconsin. The land belonged to the university and was in a protected status. A beautiful river, a protected island, eagles flying overhead, a type of sandstone found in only four places worldwide. Hmm, a perfect setting for the second book in a suspense series I’m working on. So I took a boatload of pictures (pun intended) and even had my poor sister quizzing the captain of the boat and the guide. We spent the rest the day sightseeing and I picked up all the free literature I could find. Did the story ideas ruin my vacation? Not at all, if anything it made me have more fun. Do I expect to get a story idea from every vacation? No, forcing the issue would take all joy and relaxation out of my trips. All I’m suggesting is that you keep an open mind, an open eye, and if the story muse whispers in your ear – spend a little time seeing where it leads you. What about you? Have you ever used a vacation spot in one of your books? Leave a comment and let me know. Beth: I think there is a little bit of me in every character I create, and I’ve heard other authors say this as well. But another thing that makes our stories interesting and fun is including life experiences. If you’ve been through the death of a spouse or loved one, you might feel called to write about that. Maybe you’ve been through a divorce or some other traumatic event. Or maybe you’re adopted and found your biological mother, like I did. Those things seem to find a way into our books, maybe as a source of self-healing or to simply educate others or let them known that they aren’t alone. But I’m talking about something else. What has happened in your life that is funny, touching, scary, or tangible that you can share? Recently, I was in a small six-seater plane. We hit a deer on the runway while landing, and when we started to smell smoke, we were told we might have to jump out of the plane and onto the runway. The plane was going about seventy miles per hour at that point. Hmm . . . death by fire . . . or a bad case of road rash? I opted for the latter, but luckily the pilot said the smoke was from burning rubber when he slowed the plane down, so I was able to keep my seat until the plane stopped. You can bet that will end up in a book! When I was in high school, a group of girls and I put bubbles in a fountain outside a bank. That was a popular and fairly harmless prank in the 1970s. But the next morning when I walked into my parents living room, my mother was glued to the television and said, “Oh my! Someone put bubbles in the fountain by the bank. The bubbles are flowing out into the street and causing a traffic jam.” My friends and I panicked all day, just certain we would somehow be caught, and we were horrified that our stunt made the news! We weren’t caught, by the way, but I recently included that that little incident in a book. After my very first book signing, a group of us middle-aged women went on a scavenger hunt—in our jammies. There were other authors involved in the mischief, and there might be a few reading this who are thinking . . . oh dear, don’t mention names. Ha ha! I can see that making its way into a story also. What about you? Any unusual or unique experiences that you could see yourself including in a book? 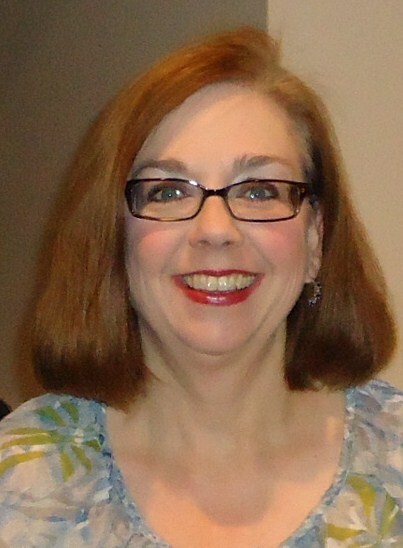 Beth Wiseman is best known for her Daughters of the Promise series and the Land of Canaan Amish series. Having sold over 1.5 million books, her novels have held spots on multiple bestseller lists, and she has been the recipient of many prestigious literary awards. 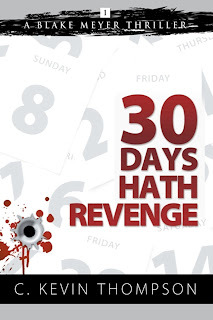 Beth is contracted with HarperCollins Christian Publishing into the year 2019, and she has published fourteen novels and sixteen novellas to date. 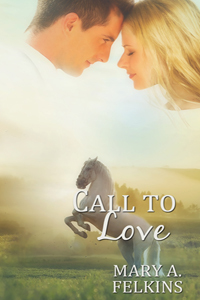 Beth has a deep affection for the Amish and their simpler way of life, and while she plans to continue writing Amish love stories, she is also branching out into other areas including Christian contemporary romance novels and novellas. Need You Now, The House that Love Built, The Promise and A Tide Worth Turning are some of these recent releases. Beth and her husband are empty nesters enjoying the country life in Texas with three dogs and a rooster. 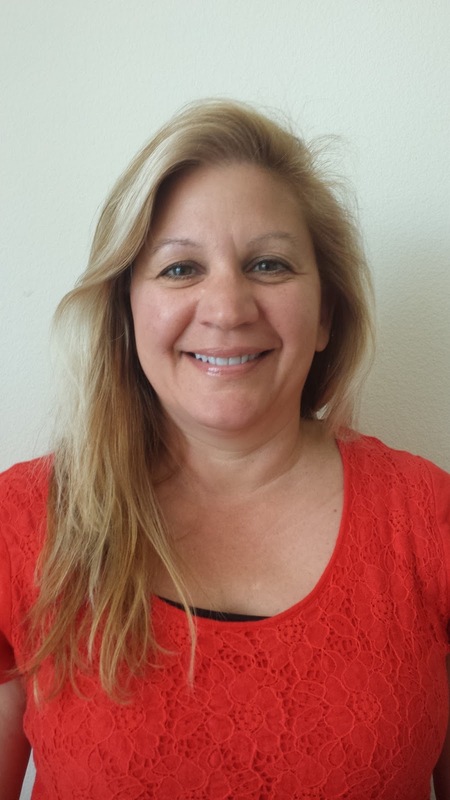 When she’s not writing, Beth loves to travel, paint, and enjoy time with friends and family. You can find Beth and her books at her website BethWiseman.com, Fans of Beth Wiseman on Facebook where she interacts with readers, and on Twitter at https://twitter.com/bethwiseman. Morgan Calhoun and her parents are whisked away in the middle of the night, something Morgan always knew was a possibility because of her father's CIA job. But she'd always thought if such a scenario played out that she would have time to say goodbye to those she loved—particularly her boyfriend, Kyle. Adding to her unbearable situation, several weeks after the move, Morgan finds out that she's pregnant. Kyle Brossmann doesn't even get a break-up letter from Morgan. She's just gone, along with her parents. His heart broken, Kyle continues with his plans. 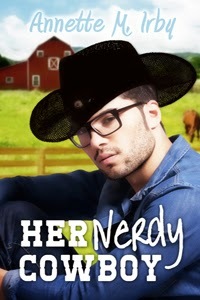 He graduates from high school and attends college, where he meets his fiancée, Lexie. But two men visit Kyle and encourage him to travel to an undisclosed location, where he will meet his five-year-old daughter. Rocked by the news that he has a child, Kyle learns he is the only person who might be able to save his daughter's life. Will Kyle choose his first love and his daughter? Or will he stay with Lexie and live the life they’ve been planning? 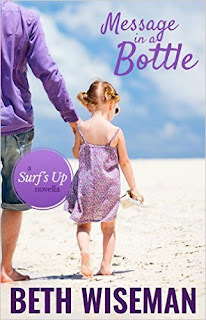 Each Surf’s Up novella takes the reader to a beach locale, weaving romance and adventure into a soul-soothing journey of hope. Jesus said you have not because you ask not. 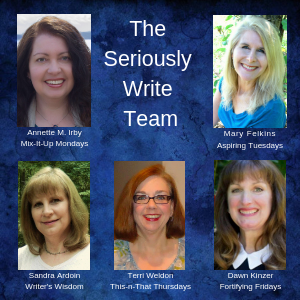 What’s that have to do with writing? 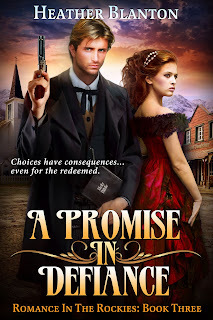 Recently, I held a virtual launch party for my newest novel, A Promise in Defiance. We gave away everything from earrings to coffee. Fun stuff and my guests had a blast. I also debuted two book trailers and a video shout-out from a tv producer. None of it cost me a thing. Oh, and did I mention that my interview in USA Today’s "Happily Ever After" section came out the same day? I got all this stuff because we merely asked. If you have a platform of any reasonable size, you have something to offer advertisers, other authors, reporters, yes, even tv producers! Can you leave a review for a product? Would your readers leave a review? Will they talk about a product? Then your platform has intriguing possibilities. I write Westerns. Call my stories Inspirational Westerns or Western Romance, but at the heart of each story, the guy in the white hat saves the day and rides off into the sunset with the girl. I love Westerns because of what they’ve meant to me over the years and those who've shared them with me. So, when I hear about a new Western coming out, I try to support it. That’s how I started my interaction with Rick Balentine, the creator and Executive Producer of the new Western TV show, Big Sky (http://www.bigskytvshow.com/). He “gets” what it means to write a traditional Western. Through a somewhat similar scenario, I met Mark Richard, formerly the Executive Producer at AMC’s Western, Hell on Wheels. Over the course of a couple of years, he and I have become good friends. So I asked a friend of mine who is an aspiring actress if she would record a few lines from a script I wrote. She did a great trailer for me, costumes and all! You can check it out here. And David McKnight, a reenactor at the Fort Worth Stockyards also did one, in full costume. (You can see it here.) I promised these two that I would get their videos to some important people. That’s all I can do, but it’s a step. In the meantime, my assistant, the fabulous Pepper Potts—er, I mean, Diane Estrella, discovered a company called Little Black Gun (https://littleblackgun.com/) They sell jewelry made out of shell casings, and the casings have actually been fired! I reviewed a pair, happily. They gave me an extra pair to give away. I got a t-shirt from the Talking Shirt (https://thetalkingshirt.com/), for the same arrangement. We gave away nearly a dozen items at the book launch. Tote bags, vitamins, books, posters, and the list goes on and. Diane also got me the interview with USA Today … by merely asking and offering up some legitimate sales numbers. Why not? With God, all things are possible. 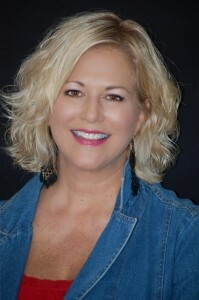 Heather Blanton is the independent bestselling author of several Christian Westerns, including the Romance in the Rockies series, which has sold over 40,000 copies. Intrigued by the concept of three good sisters stranded in a lawless Colorado mining town, a few notable Hollywood producers have requested the script for her first book in that series, A Lady in Defiance. Heather loves exploring the American West, especially ghost towns and museums. 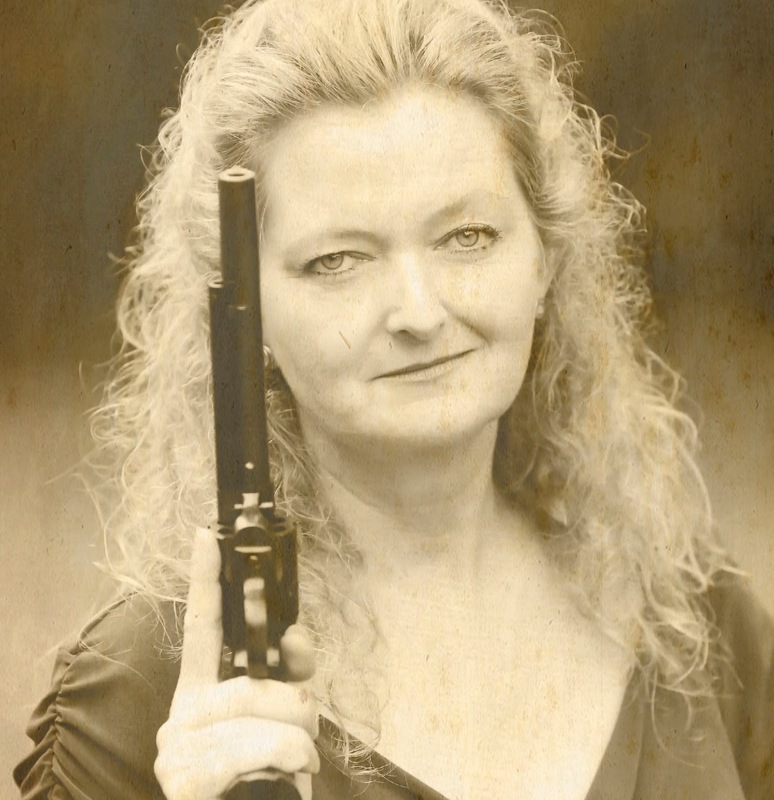 She has walked parts of the Oregon Trail, ridden horses through the Rockies, climbed to the top of Independence Rock, and even held an outlaw's note in her hand. CHOICES HAVE CONSEQUENCES...EVEN FOR THE REDEEMED. When Charles McIntyre founded Defiance, he was more than happy to rule in hell rather than serve in heaven. But things have changed. Now, he has faith, a new wife...and a ten-year-old half-breed son. Infamous madam Delilah Goodnight wants to take it all away from him. How can he protect his kingdom and his loved ones from her schemes without falling back on his past? How does he fight evil if not with evil? As we approach Independence Day, I also embark upon a new adventure in life...retirement from a lifelong career in education and administration coupled with a move 500 miles south, to the sunny shores of Jacksonville, FL. Transitioning from a day job to full-time writing is much like being released into the sunlight with fledgling wings. The idea is surreal; beautiful and wonderful, yet at the same time a bit unnerving. Going from the familiarity of a massively time-crunched writing schedule to wide-open free time calls for more than a bit of organization. Retirement is a new chapter filled with blank pages; a canvas just yearning for a vibrant splash of color. So many ideas swirl in a tempest, jockeying for the lead position in the creative storm. As a new routine takes shape, the tempest settles to match the rhythm of the ocean beyond my writing grotto. The storm takes on a life of its own in a flurry of words and sentences; pages begin to fill with a lifetime's worth of tales. Pure joy for my soul. Yes, I have mourned the end a career that has blessed me immeasurably, one that has stood front and center for the majority of my life--teaching children. I will miss the smiling faces, the hugs and sheer wonder in the bright eyes of so many youngsters who have learned to love learning. But it is time to move on to the very passion that has lurked within the depths of my heart, waiting patiently so many years for its time to bloom. Writing is my heart and soul...breath itself. Jami Mitchell has come home to Heart’s Haven to open a bookshop with the inheritance Grandma left to her. Nana’s Novel Notions is the business of her dreams until she realizes who the tenant next door is: ruthless Riley Hunter. Growing up in the small town together, she’s watched him dance through women while she’s hidden her feelings with a Teflon exterior. 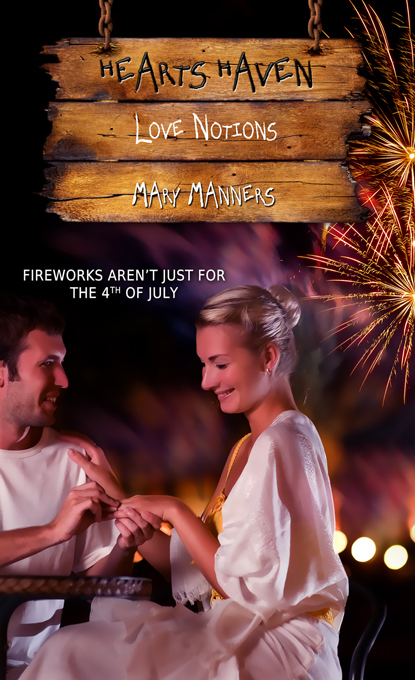 How will she cope, when she can’t bear being in the same town with him--let alone neighbors? Riley Hunter has sacrificed everything to shed the poverty of his childhood. While others held Sweet-sixteen parties, he cleaned up after them. But his hard work has paid off, and he’s opened an architecture firm in the growing town. He’s had a thing for Jami since high school, but she was the privileged girl who never gave him the time of day. Now she’s come home with a wad of cash and has set up a book store in the business complex he plans to buy out. Can the two put the past behind them, or will his dream shatter hers? Mary Manners is an award-winning romance author who lives along the beautiful shores of Jax Beach with her husband Tim. She loves swimming, running, flavored coffee and ocean-blue sunsets. 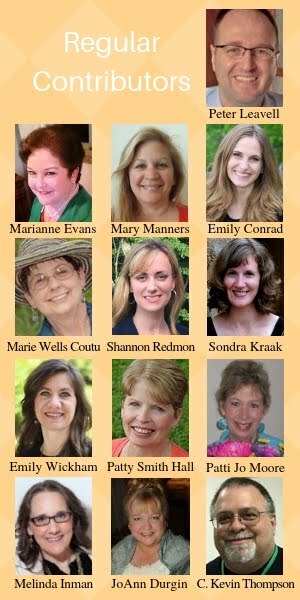 Connect with Mary at her website: www.MaryMannersRomance.com. Ever wonder how other novelists get their ideas? We were strolling out of Islands of Adventure years ago. It had been a good day. Our family had enjoyed a sun-soaked, July afternoon in the Orlando-based theme park, but it was late. It was still hot. We were tired and on a quest—for A/C. The park has a central corridor leading into (and out of) the complex designed to mimic storefronts one might find nestled in a fairy tale land. It’s a quaint section—one I’d like to pattern my backyard after someday. However, air conditioning beckoned us inside a long string of shops instead of enjoying the scenery. Our tribe slowly traipsed through the aisles of wares. No one wanted to buy anything material. We just wanted to get cool before we made the long trek to the parking lot. During the slow walk through the displays or merchandise, I was drawn to the far end of the store. Hanging from the ceiling, suspended by wires, was a replica of a dinosaur. A fossil of a marine reptile, to be precise. The placard on the wall told the story of the real fossil, found in Ulianova, Russia. Now possessed by the Iwaki Museum of Coal and Fossils in Tokyo, Japan, the real fossil was supposed to look just like the one overhead. I don’t know where Ulianova, Russia is exactly. Google can’t find a city by that name, but it does find “Ulyanovsk.” If that city is the correct location of the find, then finding any marine reptile, dinosaur-like or not, in that specific location is quite a feat. Just click on the link above and see for yourself. Yes, it’s near a water source, but there are only cold waters around there. Too cold for any marine reptiles to exist and a long way from the nearest warm water sea or ocean. Thus the importance of the find. And thus the pique of my curiosity. The replica was classified in the pliosaur family due to its alligator-like body and flipper-like appendages. The thing looked like an obese, 25-foot long crocodile with flippers. And here’s the kicker. Paleontologists, scientists, archeologists, and the like had never seen a fossil like this one before. Hence, they called it pliosaur sp. It was a “new” species. Well, new to scientists, that is. I stood there studying the fossil, imagining what it would be like to meet that bad boy in the ocean. Then, it hit me. It was a species of animal never before known to exist. Now, suddenly, here it was in fossilized form, telling us we don’t know as much as we think we do. Then, I remembered reading back in middle school of an extinct species caught off the coast of Africa in 1938. They were thought to be long gone. Fossils to be dug up in some bank of dirt or rock from eons long past. But there they were, alive and well, swimming around in the Indian Ocean. I grabbed a map of the theme park, jotted down the information on the placard, and tucked the information away in my files when I got home. Some months later on vacation, sitting on a balcony of a condo in Cocoa Beach, Florida, I overlooked the ocean, watching the boats move across the horizon. People were swimming and surfing in the breakers. Others were strolling on the beach. Still others rode bicycles or jogged. The roar of the surf, mixed with a steady breeze off the water, easily relaxed me as I stretched out on the little love seat. With my feet propped, my imagination began to race ahead again. Remembering the fossil hanging from the ceiling along with the rest of the background knowledge I had accumulated over the years, a question began to percolate. What if there was a species still out there…one that still existed…yet was still unknown to modern science? And not only unknown, but prehistoric? And a deep diver? How would that impact scientific belief? Snatching a legal pad and pen from my belongings, a scene began to emerge in the movie screen of my mind. I started scribbling words. Those words became Chapter 1 and 2 of the soon-to-be-reprinted version of my book. Over the next several months, as I wrote in my spare time, often in the wee hours of the morning or burning that last inch of midnight oil, I spent hours researching in an attempt to make the book as believable as possible while at the same time giving the reader appealing facts to hold their interest. It was in several of those research forays where I came across articles and books pertaining to incidents occurring in my book. It was like the news was checking to see what I needed at the time. Articles about monkeys, rodents, and other species being found by scientists for the first time…stories telling about new prehistoric fossils being discovered…remarkable tales of scientific discoveries by reputable scientists and organizations were steadily quantifying, verifying, and solidifying my beliefs. What was portrayed in the book by the characters was becoming increasingly exhilarating, to say the least. The answering of those questions referenced above, coupled with the Atlantic Ocean on the horizon acting as a sudden, yet apropos, source of inspiration, is how The Serpent’s Grasp was born. A former Language Arts teacher, Kevin decided to put his money where his mouth was and write, fiction mostly. 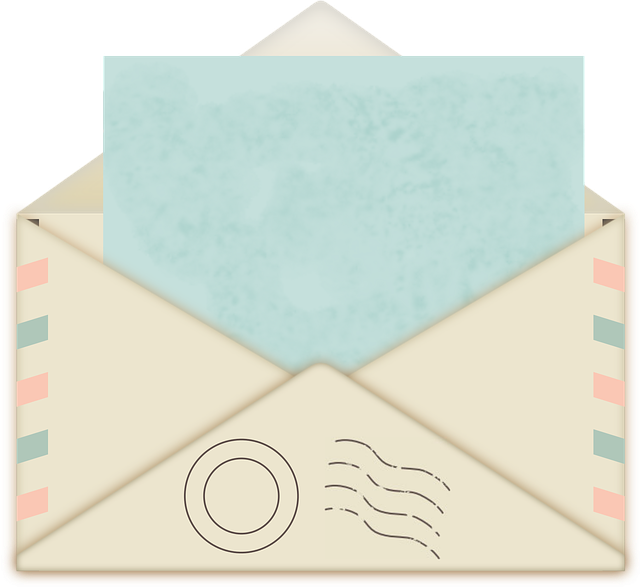 Now, years later, Kevin is a member of the Christian Authors Network (CAN), American Christian Fictions Writers (ACFW), and Word Weavers International. He is the Chapter President of Word Weavers-Lake County (FL), and his published works include two award-winning novels, The Serpent’s Grasp (Winner of the 2013 Blue Ridge Mountain Christian Writers Conference Selah Award for First Fiction) is scheduled for reprint with Hallway Publishing, Spring 2017. 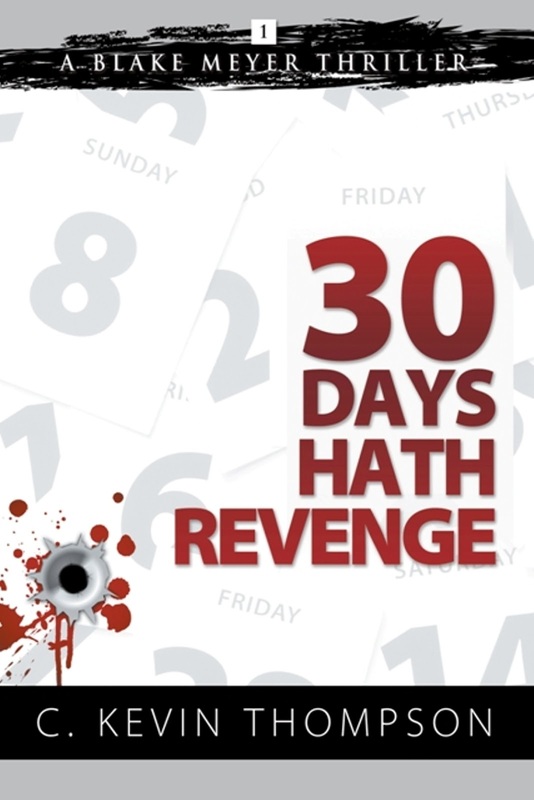 Kevin’s second book, 30 Days Hath Revenge - A Blake Meyer Thriller: Book 1, is also scheduled for reprint this fall, with Book 2 due out later in the year. Kevin also has had articles appear in The Wesleyan Advocate, The Preacher, Vista, The Des Moines Register and The Ocala Star-Banner.